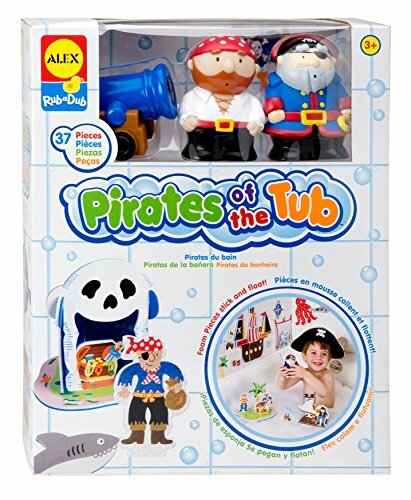 ALEX Toys Rub a Dub Pirates of the Tub makes bath time fun and easy! With this 38-piece set, your little one can turn the bathroom into a pirate’s cove! Decorate the walls with nautical themed foam pieces that become easily removable stickers when they get wet. Build a ship, island and raft to have swashbuckling adventures on! And when the adventure ends, all the pieces fit nicely into a mesh bag where they can hang on a wall to drip dry until the sirens call them back to sea. Includes 3 pirate squirters, 35 foam pieces of nautical accessories and a mesh bag with suction cups. Recommended for children 3 years of age and older. 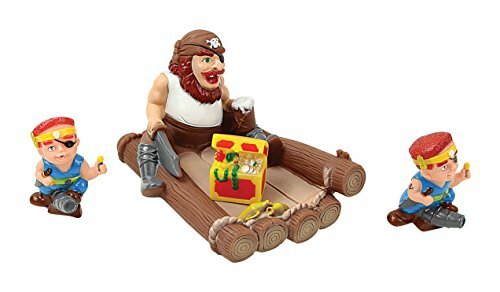 D&D's Pirate Boats are perfect toys for playtime at the beach, in the bathtub or at the pool. 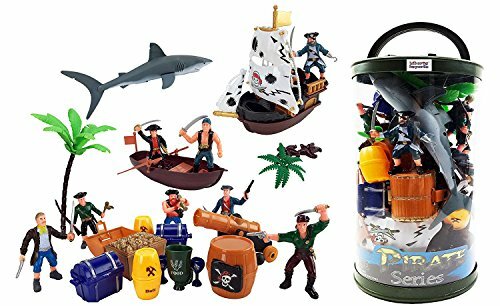 Set comes with boat, pirate and cannon. Each item in set squeaks when squeezed. 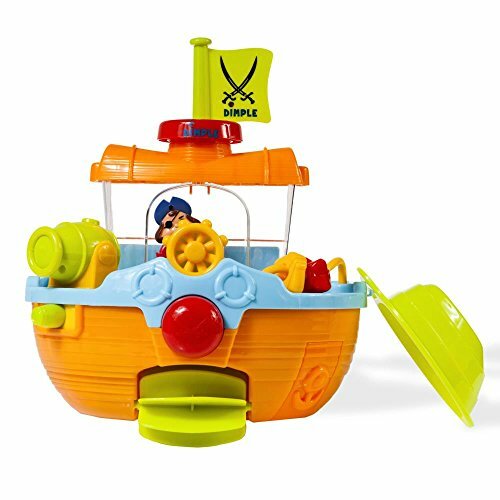 Wall Mountable Pirate Ship Bath Tub Toy with Water Scoops, Moveable Rudder and Paddle and Water Cannon! 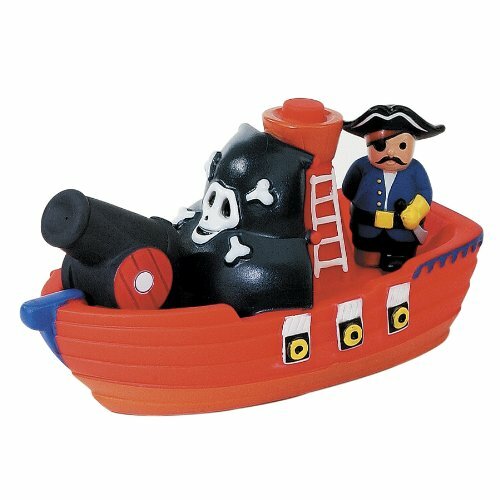 Bring a high-seas pirate adventure to your bath tub or shower with the Splashin' Bucky Bath Toy! Scoop water into the boat-cup and strain it through Bucky's bell shower, like a rain storm on choppy seas! Pour water on the deck and watch the porthole water wheel spin! That's not all! You can also fill-and-spill the crow's nest as Jake slides down the fun water-slide! 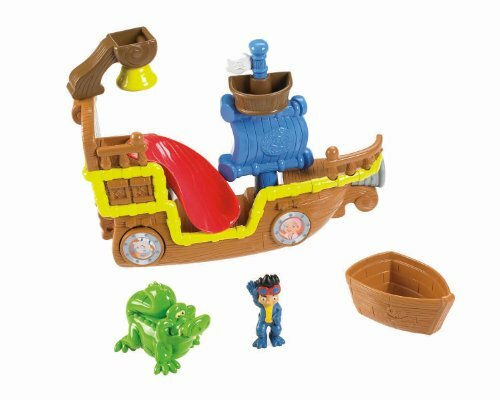 Includes Jake figure, a Squirting Tick Tock Croc, and a boat-cup! 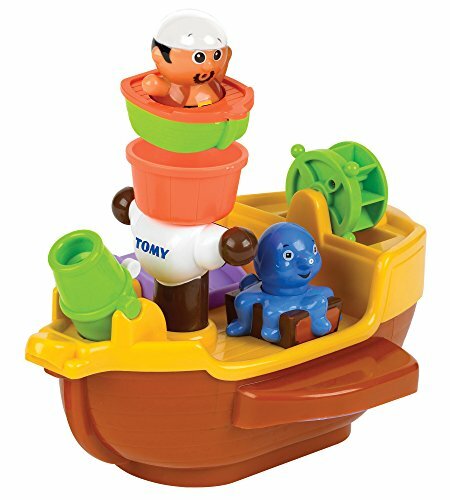 Attach the playset to your shower or tub with suction cups. This small pirate bath boat is powered by the natural flow of water. 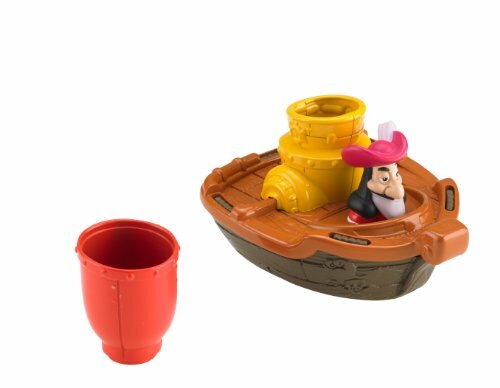 Disney Jake and the Never Land Pirates Hook's Pirate Cruiser comes with its own uniquely styled boat equipped with a cup that detaches from the boat. Pour the water into the motor funnel and watch as the boats take off, gliding through the water! 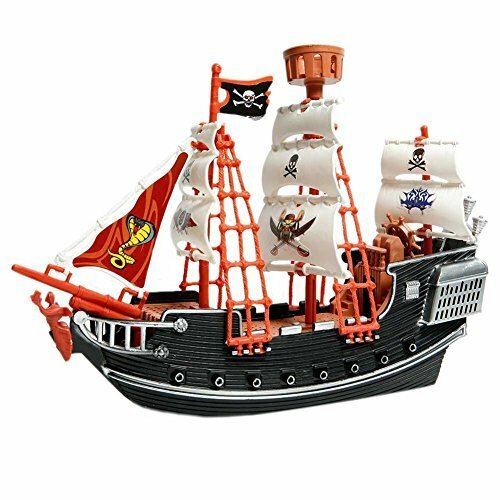 Assortment of two includes Jake's Pirate Cruiser and Hook's Pirate Cruiser (Sold separately and subject to availability). 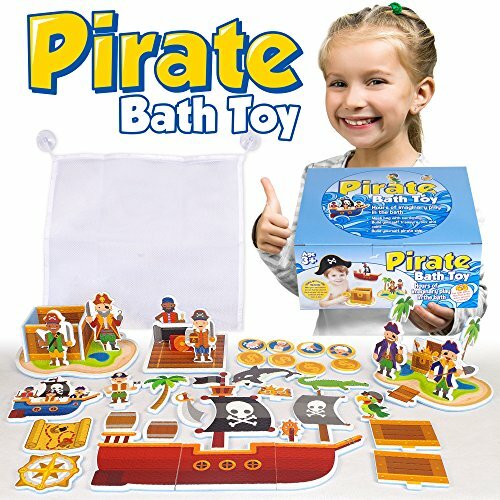 Compare prices on Pirate Bath Toys at ShoppinGent.com – use promo codes and coupons for best offers and deals. Start smart buying with ShoppinGent.com right now and choose your golden price on every purchase.